This year marks R & Company’s 20th anniversary, and to celebrate the milestone, Meyers and Snyderman are expanding dramatically. The new location, opening this spring, will allow the partners to better showcase the diversity of their roster, which ranges from historic designers such as Verner Panton, Greta Magnusson Grossman and Sérgio Rodrigues, to later-career talents like Renate Müller and Wendell Castle (who died earlier this year), to younger, boundary-pushing artists like Thaddeus Wolfe, Katie Stout and the Haas Brothers. 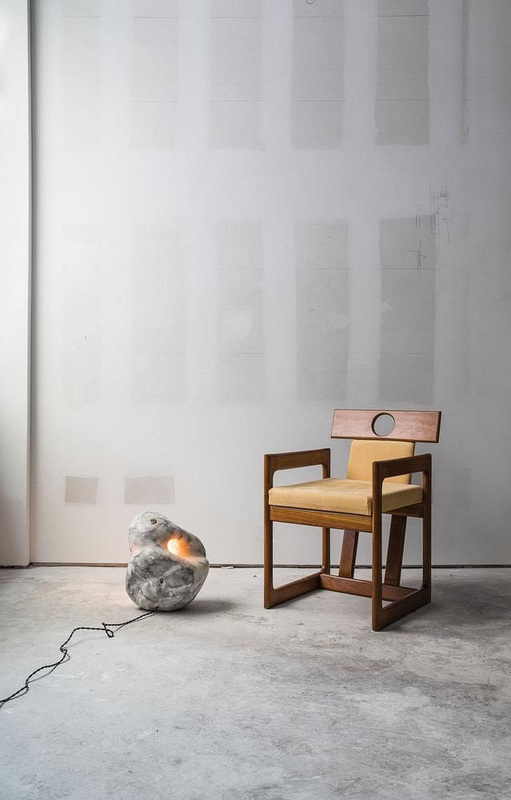 At the same time, Snyderman and Meyers often collaborate on shows with architects, collectors and other tastemakers—like the presentation last fall of French interiors star Pierre Yovanovitch’s furniture—only now they’ll have much more square footage to play with. In addition to the street level, which has 16-foot ceilings and fluted cast-iron columns, the space has two downstairs floors, the lower featuring brick columns standing directly on Manhattan schist. The coup de théâtre comes at the rear: a three-story atrium backed by a 40-foot-high wall of windows. For the renovations, Meyers and Snyderman tapped one of their past collaborators, architect Kulapat Yantrasast, whose Los Angeles–based firm, wHY Design, is known for its work with cultural institutions. “I knew they weren’t looking for another beautiful showroom but something with a complex identity,” says Yantrasast. On the street level, which is devoted mostly to exhibition space, Yantrasast devised movable walls that can be configured “to present multiple shows with multiple artists at the same time,” the architect explains. The middle floor houses offices and a library for the gallery’s extensive archives, while the bottom level is “the surprise floor,” as the architect puts it, “because it goes deep into the earth and will feature immersive installations.” The first of those installations will be glass artist Jeff Zimmerman’s massive Vine chandelier, his largest work to date, set to fill the entire atrium. It’s just one of the pieces created for the 20th-anniversary exhibition that will inaugurate the new space. The goal is for the gallery “to be a place for the design world to come together,” says Meyers. “We want to have a new level of programming that goes well beyond selling something.” The current space, meanwhile, will remain open, serving as a showroom for inventory and less-formal installations of new work. It’s a long way from the days of the B Team, the glass-blowing and performance group Meyers founded in the ’90s and Snyderman later joined. Soon after, they started a sideline in vintage furnishings, stalking estate, yard and garage sales and selling their finds at the Chelsea flea market. “It was the magic moment when midcentury stuff was starting to hit the market,” Meyers recalls. Trips to northern Europe and, later, Brazil yielded containers full of then-affordable modern treasures that they shipped back to their Brooklyn warehouse. 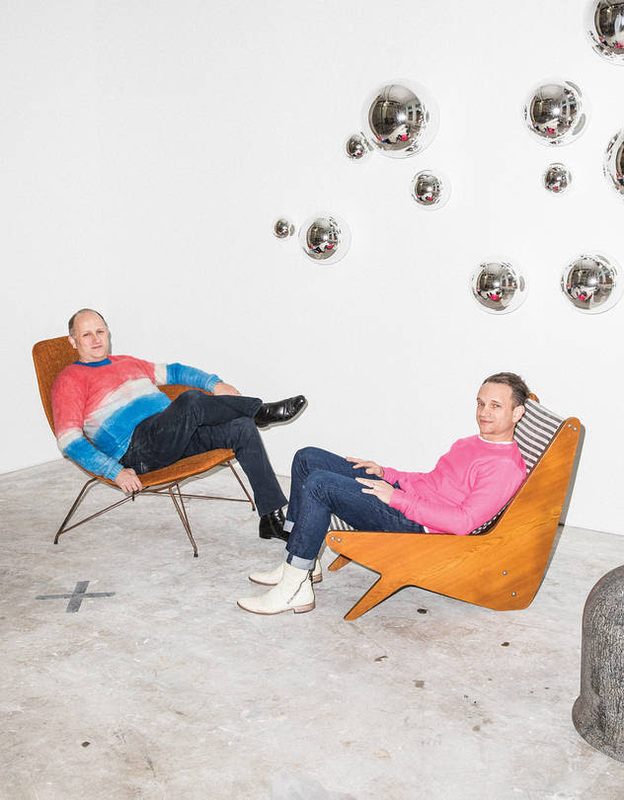 In November 1997, the pair opened their gallery, originally called R20th Century, in Williamsburg and then moved to Tribeca in 2000. From the outset, their approach combined eye-catching presentation with serious research, whether they were showing midcentury Brazilian masters—they almost single-handedly made Sérgio Rodrigues and Joaquim Tenreiro into market stars—or offbeat contemporary work.